Why did God allow polygamy in the Old Testament? Was it a command or was it forbidden? Polygamy is the state of being married to more than one partner, regardless of whether it’s a man having many wives or a wife having many husbands. Typically it’s the male that has many wives and this is not from times past because polygamy is still legal in 25% of the world, mostly in Northern Africa, the Middle East, and parts of Indonesia. In most of the world, it is illegal to have more than one spouse but some cultic churches still practice this because they believe that their authority is from the Bible. 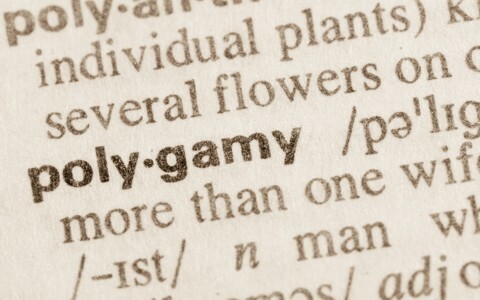 Does the Bible really condone polygamy or teach that it’s not wrong? Since many use the Bible as their source in giving them permission to have more than one spouse, they might be surprised to see that the Bible actually forbids this. Polygamy is the state of being married to more than one partner, regardless of whether it’s a man having many wives or a wife having many husbands. Many get confused when they read the Bible and believe that what they read is commanded. For example we get snake-handling churches who take the verse in Mark literally, where it says that Jesus’ disciples “will pick up serpents with their hands; and if they drink any deadly poison, it will not hurt them; they will lay their hands on the sick, and they will recover” (Mark 16:18). Some even drink poison in churches because they see it as a command but this is reading Scripture as “prescriptive” rather than “descriptive.” What do I mean by prescriptive verses descriptive? Jesus was nailed on the cross (descriptive) but some even practice this even though it is not commanded for believers (prescriptive). Peter walked on water (descriptive) but this doesn’t mean that Jesus’ disciples should be able to walk on water (prescriptive). Paul once had Timothy circumcised so that he could enter the Jewish temple. That is descriptive and not prescriptive or prescribed for all men to do. Prescriptive is like a doctor prescribing medicine for someone that specifically relates to them and their condition. A doctor doesn’t randomly give all of his patient’s prescriptions so the point is, polygamy is descriptive of some of the practices of the patriarchs and kings of Israel; it is not prescriptive or prescribed for Christians to do the same thing. In the very first marriage ceremony, God said “It is not good that the man should be alone; I will make him a helper fit for him” (Gen 2:18). “Therefore a man shall leave his father and his mother and hold fast to his wife, and they shall become one flesh” (Gen 2:24). This is singular and not plural. It does not say the man should hold fast to his wives but to his wife and it is singular. In all of the Old Testament, there is not one law or allowable circumstance where men or women are told by God to take to themselves more than one spouse so why did God allow it? Part of God’s will is His permissive will; He allows us to choose freely and permits us to make wrong choices but we experience consequences for our actions. Just because God allows evil doesn’t mean He approves of it. The laws concerning the kings of Israel must certainly be applicable to the rest of the nation and the command for kings was to “not acquire many wives for himself, lest his heart turn away, nor shall he acquire for himself excessive silver and gold” (Duet 17:17) and when they did, as with the case of Solomon, the results were disastrous. These women or foreign wives always caused them to fall into pagan religions and idolatry. Even when Abraham took a second wife Hagar, at Sarah’s suggestion, there was constant strife between the two and in the family. I could not find one example of where a second wife helped the families but I had no trouble finding scriptures where taking more than one wife caused great problems for the family like with Jacob and his two wives, Rachel and Leah. I challenge anyone to try and find a Bible verse where God condones or approves of having more than one wife. The Bible and specifically in the New Testament, we see that it is good to have only one wife (1 Tim 3:2, 12; Titus 1:6) and that multiplying wives only brings trouble and since God actually forbids this in Scripture for the kings, we know that He forbids it for believers today. Those who practice polygamy and claim the Bible is their authority need to read the Bible in a more comprehensive way and see that instead of condoning polygamy, He forbids it and what He forbids is always in our best interests. More for you to read: How Does God Define Marriage? Thank you for a comprehensive and clear answer to questions many agnostics and atheists pose. Now I am armed with correct and concise information to answer them. Pastor, why did God allowed David and other OT patriarchs to have concubines and in some case “allow” them to have more than one wife. God forbid this to the ancient kings of Israel and Patriarchs but that doesn’t mean He approved of it. Each time, multiple wives caused problems…God doesn’t really allow them…the went again His desire.